The SDIMT institute provides fully developed campus with state of the art infrastructure for all the pursuits to make the learning an enriching experience and develop one's personality. The Institute has spacious architecturally designed lecture and tutorial rooms, airy and electric gadgets like projectors, glossy white boards and flannel boards all intact, furnished with adequate modern furniture. Library is the most important section of every educational institute. Our Institutional Library is Computerized and equipped with the large and good collection of latest books. Institutional Library is having books related to all the courses offered by the polytechnic. Apart from the books the library has magazine, journals and other current study materials. Video Cassettes and CD-ROMs are also available for the reader’s users. Department from Technical books general books on Literature, social issues, Psychology, sports and other fields are available for overall development of readers. Theoretical lectures in the classroom will be re-in forced with extensive experiments in well equipped modern laboratories for all disciplines following syllabi and curriculum. Interactive seminars and brain storming sessions will be conducted to bring about the creative, analytical & comprehensive capabilities of the students. A well planned workshop having several wings like machine shop, carpentry, sheet metal, lathe machine, plumbing, painting, smithy and welding shop covering a vast area will provide the students all the facilities of workshop practice. 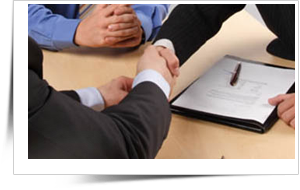 Training and placement cell in the institution play an important role. It strives to organize relevant training to students & staff, it has been working diligently to secure final placement for students. 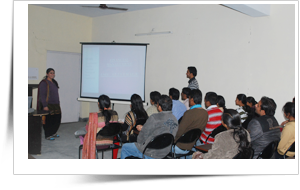 Organise Special Trainings and Seminars on technological aspects. Promote activities related to continuing education programmes. The on-campus facilities for indoor & outdoor sports include Badminton, Cricket, Football, and a number of other activities. The Institute supports the Students Sport Club and is achieving considerable success in the expansion of intramural and recreation programmes The Institute is able to offer advice on personal fitness programmes and conducts a series of regular fitness assessments programmes. This spreads a feeling of unity through sports amongst the SDIMT Polytechnic fraternity. In order to satisfy the appetites of the students and to give them a break after a day's hard work, the institute campus is provided with a relaxing and comfortable canteen. The canteen not only provides the students of the campus with mouth watering dishes but is also one of the most happening places in the campus with all the students gathering there to discuss their new experiences in the campus. Healthy and hygienic meals are made in the college canteen by a professionally managed catering company. This is place to rejuvenate the tired spirits through lip smacking delicacies. The cafeteria provides much needed appetizer breaks in a cozy atmosphere. 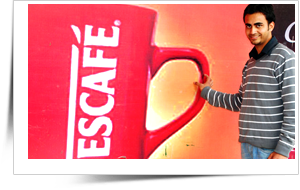 The cafeteria services are available round the clock at highly reasonable prices and smile. 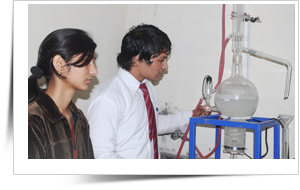 The institute has separate hostel facilities for boys and girls. The hostels provide the inmates with modern facilities and best possible hygienic food. There are regular bus service for the students provided by the institute itself between the hostel and the institute. In special circumstances Guest Room could be arranged outside campus with prior notice. Special training courses are run in the institute to equip students with different types of necessary career skill, to teach them about building confidence, body language, how to face interviews and also management related skills. Basketball, Volleyball and Badminton court. Section of every educational institute. Our Institutional Library is Computerized and equipped with the large and good collection of latest books. 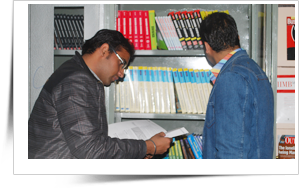 Institutional Library is having books related to all the courses offered by the polytechnic. Apart from the books the library has magazine, journals and other current study materials. Video Cassettes and CD-ROMs are also available for the reader’s users. Department from Technical books general books on Literature, social issues, Psychology, sports and other fields are available for overall development of readers.